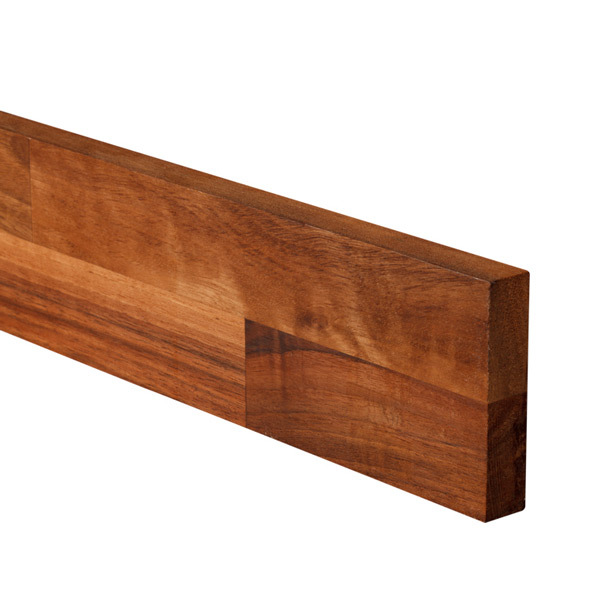 Solid walnut upstands are made from the same high-quality European walnut that is used to create our walnut worktops, which creates a stylish and effective alternative to tiling down to the surface of your worktops - an excellent finishing touch for solid wood worktop installations. Our walnut upstands are designed to help the worktops blend into the overall design of the kitchen, as well as hiding the small 5mm expansion gap that should be left between a worktop and adjacent wall (necessary to accommodate the natural expansion and contraction of the timber). Walnut kitchen upstands are recommended when installing solid wood worktops against uneven walls, as they will help conceal any small gaps that would otherwise be visible. Each walnut kitchen worktop upstand is supplied with a square edge, and so can be fitted straight away to create an angular, chunky look. Alternatively, a variety of edge profiles can be applied to fit in with your chosen kitchen design. Find out more about the importance of quality upstands by reading our dedicated information guide.